Boy, do I have one incredible dinner idea for you. Ninja Foodi Garlic and Parm Crusted Chicken with Roasted Potatoes! This dish is savory, easy, and a complete dinner in one. 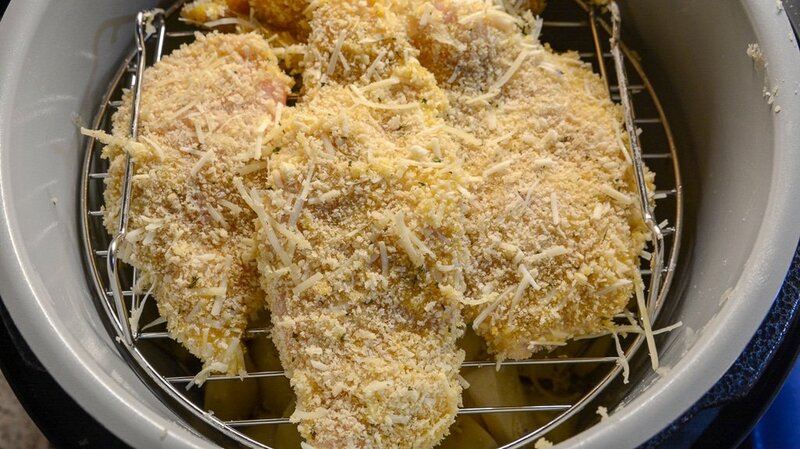 Garlic and parmesan crusted chicken helps keep your chicken moist on the inside as it bakes, and leaves a crunchy texture on the outside. 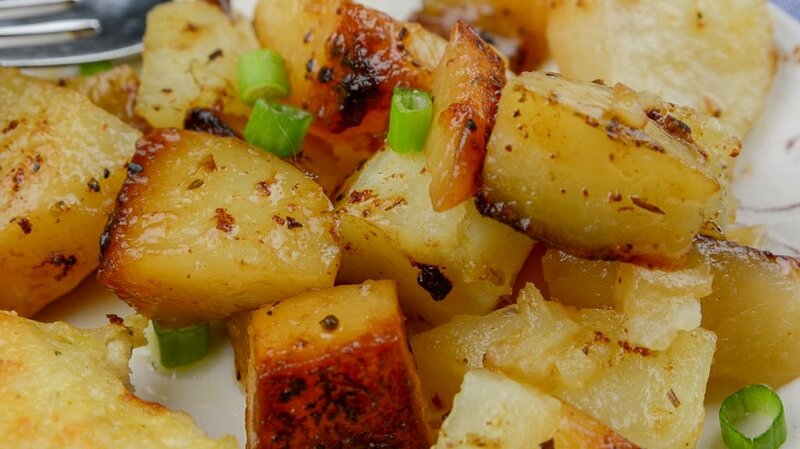 Then having roasted potatoes as well makes for a simple dinner. If you like meals that don’t require a lot of time or prep, then this Ninja Foodi dinner recipe is for you. Plus, you will never see me complain when I have minimal dirty dishes to clean up. 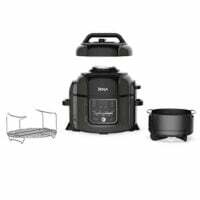 I reached for my Ninja Foodi because it is an Air Fryer and Instant Pot in one. I can use the pressure cooker feature to help cook the potatoes and chicken, and then swap lids for the crisping effect for that golden brown potato and crunchy chicken shell. No need to turn the oven on and toss your chicken and potatoes into roast them. Now if you do not have a Foodi, you can, of course, use your Instant Pot to prep the food and then toss in the oven to finish it off. I just love the Foodi for less work and a meal cooked in one device. Parmesan crusted chicken is a chicken cutlet that is breaded in parmesan cheese and Panko bread crumbs This will give your chicken flavor along with a crispy golden outside! You can use chicken tenderloins or full breasts. You just have to remember the larger the piece of chicken you use the longer the cook time to get the chicken cooked all the way through. Serve just as with nothing else, or reach for a few other satisfying side dishes to add to your menu. Here are a few tasty options to consider. You can pick and choose what fits your family’s taste buds! You can store any leftover chicken and potatoes in the fridge for up to three days. Anything after you need to toss for the risk of getting sick off the chicken. You can freeze leftover parmesan chicken you have. 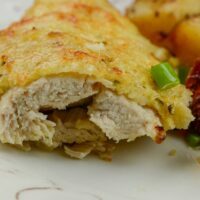 I haven’t frozen it before, but I have done similar chicken dishes and it works well. Just allow it to cool and then place in a freezer bag or airtight container. Store for up to two months. When you go to reheat use microwave or reheat in the oven. This is a great option for quick dinners or lunches. I do recommend if you warm up in the oven to cover your pan with aluminum foil, so you don’t dry out your chicken as it heats through. Give this recipe a try today, and let me know what you think. 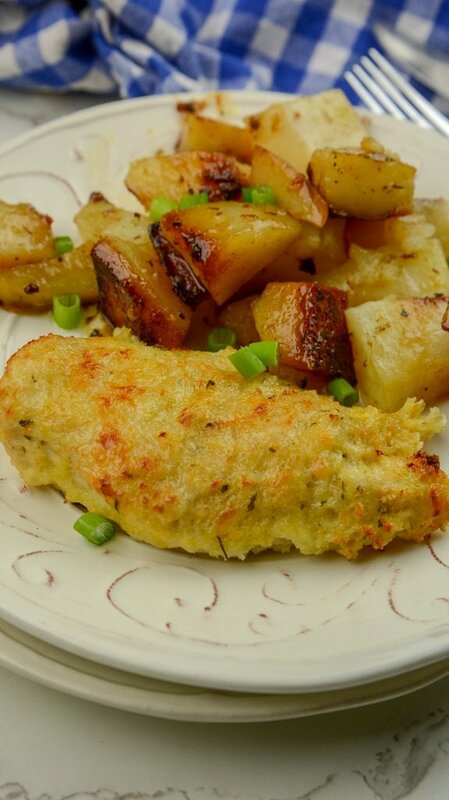 Chicken and potatoes are such a perfect pair, and this recipe is a winner! Looking for More One-Pot Ninja Foodi Recipes? Ninja Foodi Cowboy Casserole, Ninja Foodi Taco Pie, Or Even Ninja foodi Eggrolls. you. Ninja Foodi Garlic and Parm Crusted Chicken with Roasted Potatoes! This dish is savory, easy, and a complete dinner in one. Garlic and parmesan crusted chicken helps keep your chicken moist on the inside as it bakes, and leaves a crunchy texture on the outside. Stir in garlic powder and Italian seasonings. 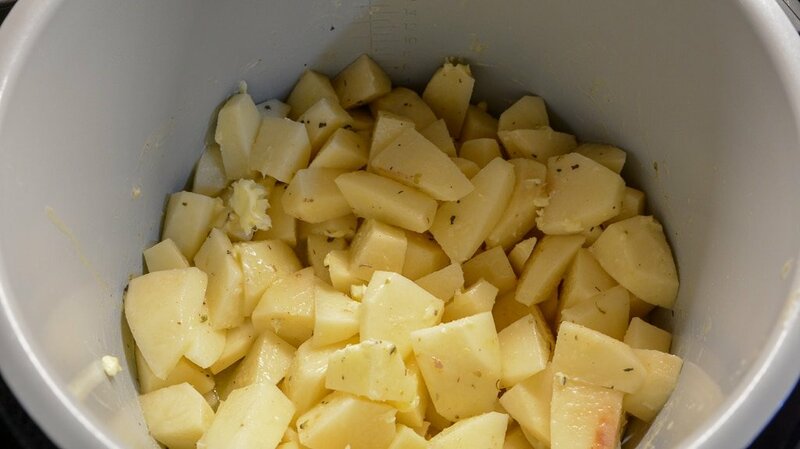 Place chopped potatoes in the bottom of your Ninja Foodi or Instant Pot. Pour butter over the potatoes making sure they are all coated well. Mix together panko and parm cheese. 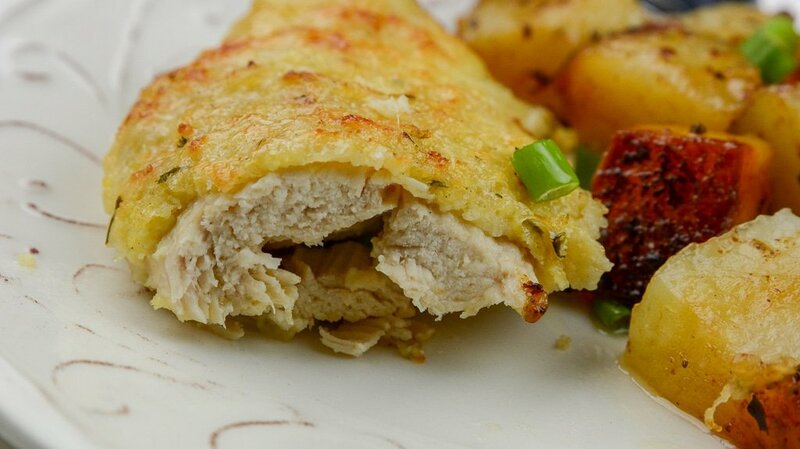 Whisk your Egg and dip chicken breast in egg then in panko Mix. Place a trivet on top of your potatoes. Place your chicken breast on top of the trivet. Cook on manual high pressure for 10 minutes. Remove the pressure lid and cook on air fry 390 for 15 minutes. If you don't have the ninja remove your chicken and place in the broiler for 5 minutes.